She'll be selling and signing FMS mags from 2-4 p.m. Saturday, March 29! 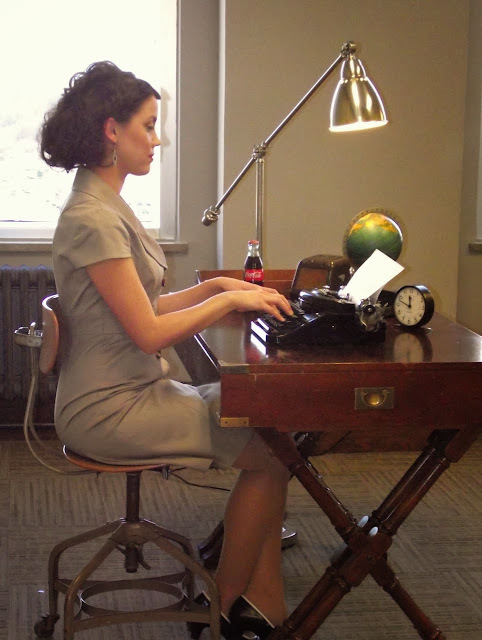 She's part of a signing party that includes Chaps Diner owner Celeste Shaw, Old Glory Antiques owner Holly Kuhn, and Jo Packham of the Where Women Create, Cook and Create Business magazines! Check out more about the show, which runs from March 28 to April 5, here! 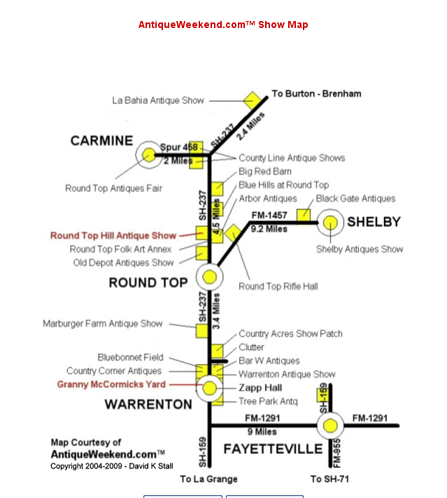 Round Top for Dummies, What is the Round top, Warrenton, Marberger Antique Show??? This is a slightly edited post from a few years ago. What is the Warrenton Round Top Antique Show in Texas????? 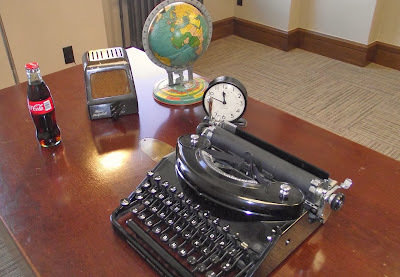 For years I've heard about the big sale at Round Top, I've also heard it called Warrenton, and Marburger. So now we have another name. "Antique Weekend". 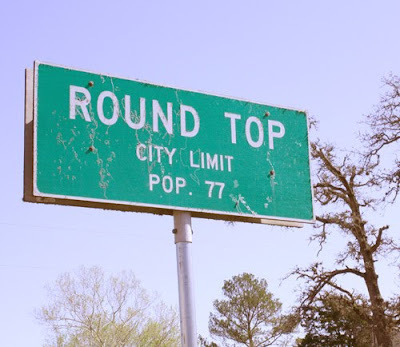 For Simplicity we will simply call it the Round Top Show, it happens twice a year (Spring and Fall). The cities of Round Top and Warrenton Texas are right next to each other, Actually Round top just North of Warrenton in Central Texas between Houston & Austin. Along both sides of SH237 there are fields. Some fields have permanent buildings, some do not. There are many tents set up. Each field is it's own show, and each show has it's own vibe and name. 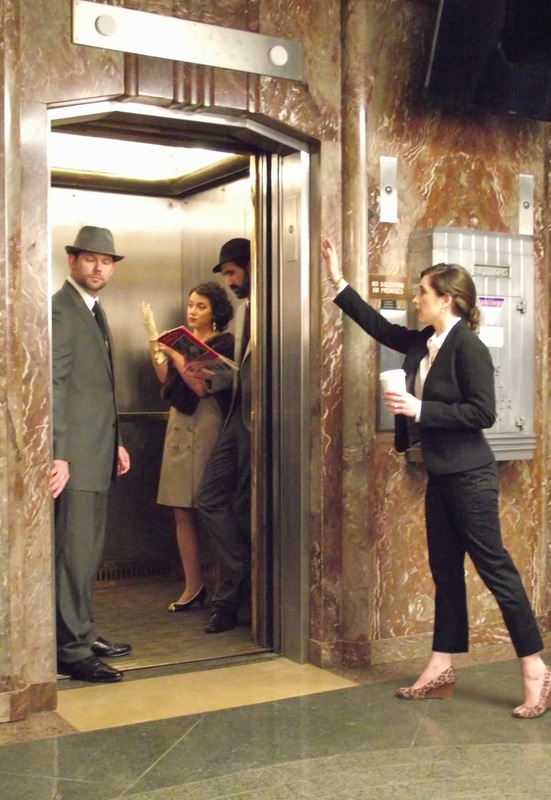 These signs and buildings will help you navigate the show (s), and serve as landmarks. Many flow into 1 big show for the most part. Some are separated by space of empty fields, and a short drive will get you to the next one. I live in North East Texas so I simply headed south for about 4 hrs, with my GPS telling me where to go. As I enter the city of Carmine (N of Round top) I begin to see some small shows with A few tents set up etc. These shows are small, but worth the stop if you have time. But do not think this is it, there is much more. Keep going (south for me and this article) and you'll enter the small town of Round Top. In Town you will also see a few small shows, worth a visit, but still not the bulk of the shopping. As you head further south you'll be nearing Warrenton, and you will begin to see lots of tents, buildings, people, cars and this is where the bulk of the shows are. Oh I forgot to mention Marberger. It is a show in and of itself. It does not have the same calendar as the other shows. Most of them are 2 weeks, Marburger does not open until the 2nd week, and the other shows have been at it for a week by that time. 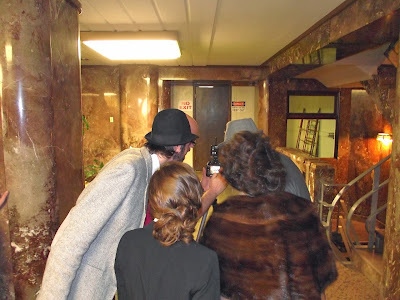 I did not go to the Marburger show and have nothing to add about it, but it has been written about extensively and is probably the best known of all the shows. I did see the tents and it looks very large. I believe it is the place to "see and be seen" at the Round Top shows. Please do not go only for Marburger. If you do you'll be missing lots of great stuff at the other shows. 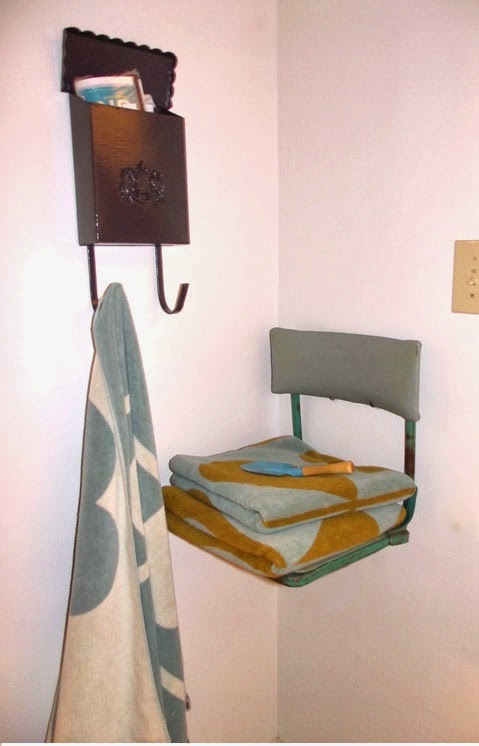 First is a shelf I fashioned from an old Football Stadium Seat to hold towels for the beach or pool, and the other is an old mail box that I've fashioned to hold a nice beach towel as well, Now all I need is a sign saying "this way to the pool", and some warmer weather. Variations of this project. You could fill the mail box with sun screen and other necessities for outdoor swimming fun. 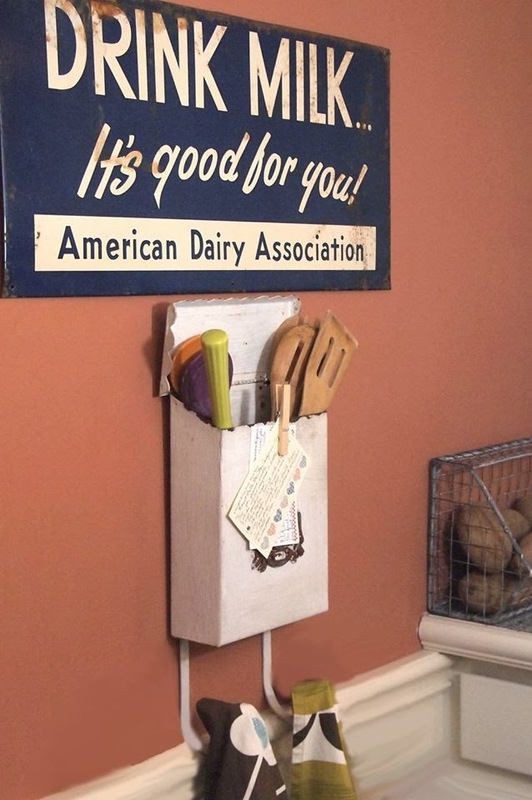 The shelf could be useful in many areas of your home, In the kitchen, as a place for a key drop inside an entry etc. I've used the mail box idea in the kitchen as well. 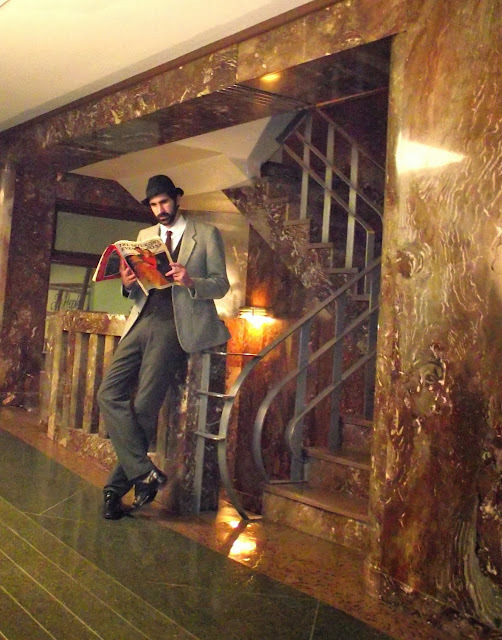 You might remember that back in January I got to provide some props for this fun photo shoot for an ad campaign for a local historical building that is being restored for new office space. 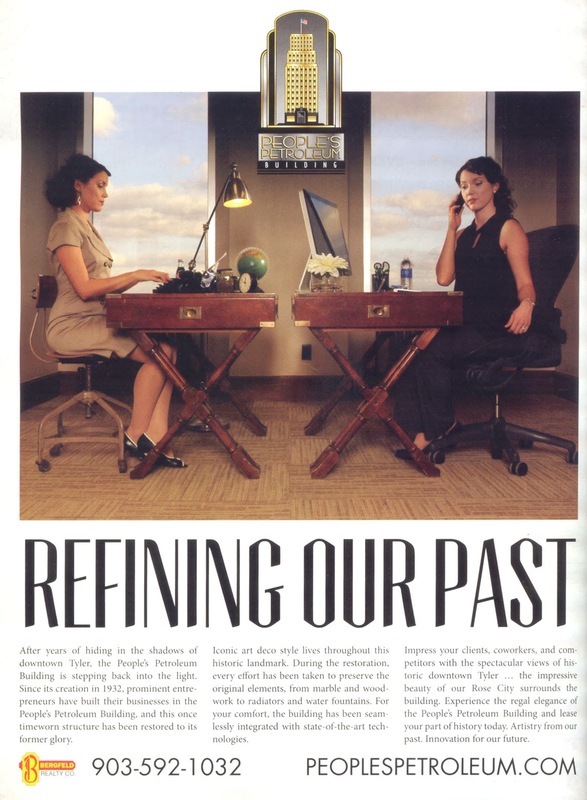 Well I finally saw one of the ads, in it's final form today in a local magazine. It looks great, and I am glad I had a small part to play. Didn't it turn out great. You can read more about this fabulous old building here. But mostly I provided many of these items, The globe, clock and intercom. 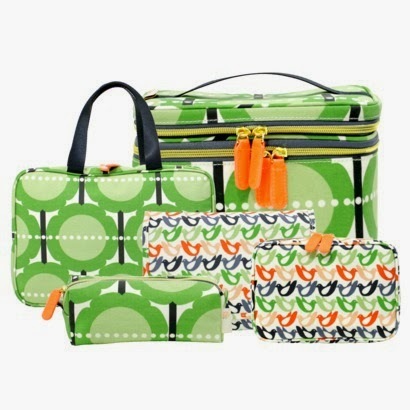 I know I'm a blog about junking, but I have another obsession and It's Orla Kiely. 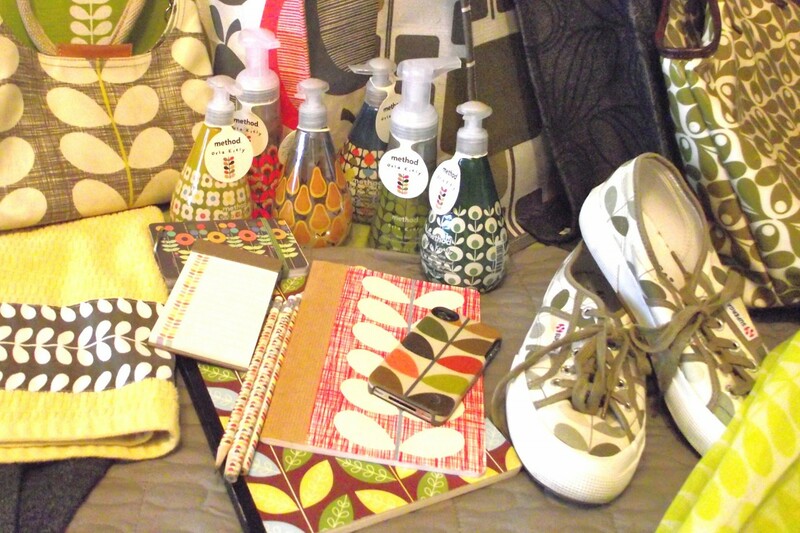 Known mostly for her purses and fashion, she has ventured out into the Home Decor arena lately. She has two good books that you might like. Of course I own both. One thing I like is that within the books are full pages of her designs that can be removed for framing. 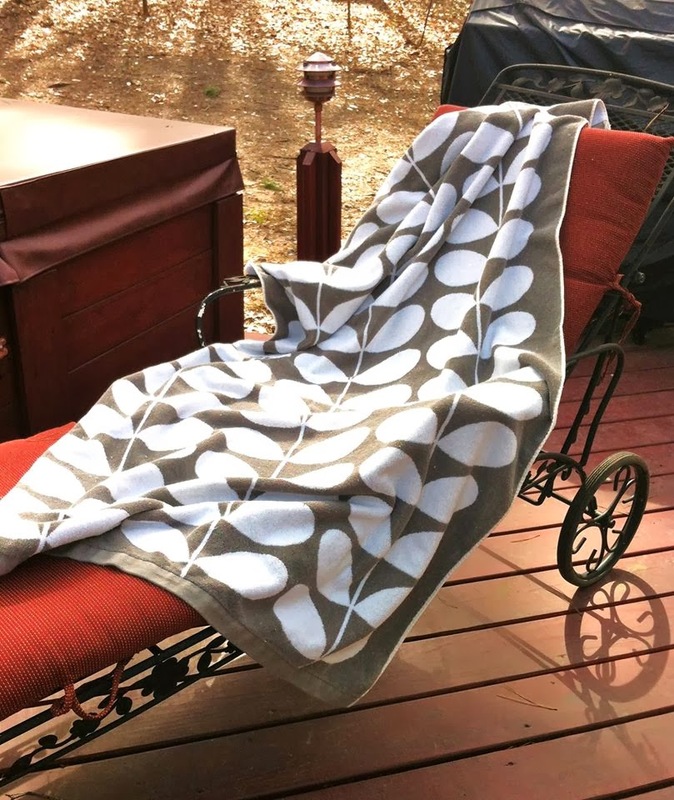 Also, I found some Orla Kiely Towels from her House collection at Marshalls and I've heard they have them at Home goods (same parent company) as well. I got several and I love this huge one that is perfect for Beach or pool. 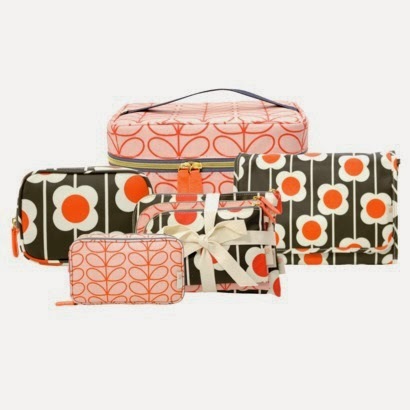 Target has a new line of Orla Kiely Cosmetic bags just now showing up in stores. 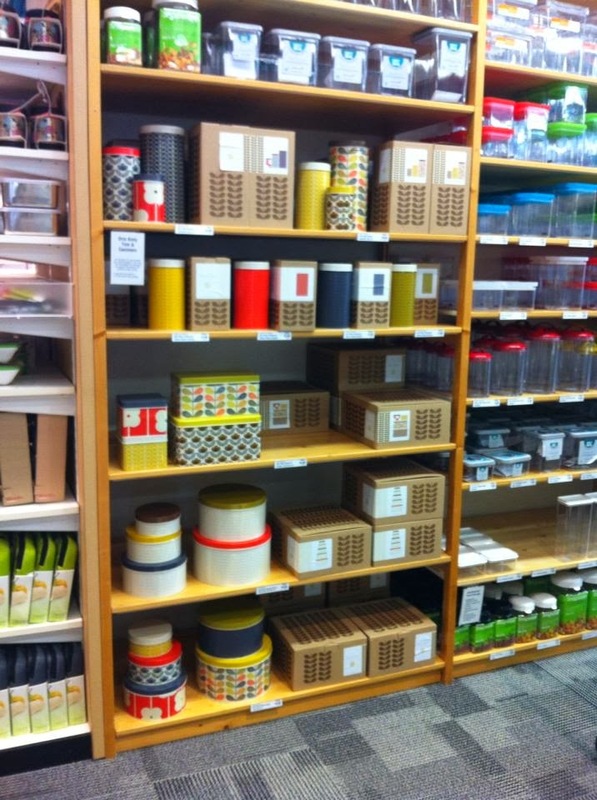 I also stumbled upon some Orla Kiely Canisters recently at The Container Store. When I turned down this isle, my jaw dropped to the floor and I was doing an internal happy dance. I think the employees thought I was crazy. You may think at this point that I'm a shop-aholic. Well I am kinda, but I do reign myself in. We don't have a lot of good shopping in my town so when I go to the "big city" I usually splurge. I got one of the tube canisters and the square canister set. But I think I may need some help :/ This is part of my OK collection and a few "copy cats" as well, and I've added to it since I snapped this pic.